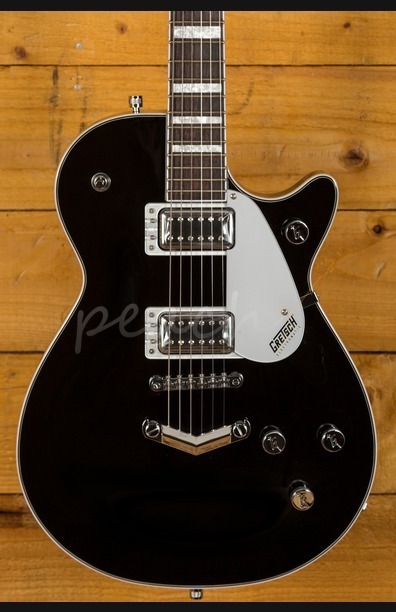 The Gretsch Electromatic G5220 Electromatic Jet single cut in Black offers traditional Gretsch performance but in a slightly slimmer, more compact, solid body package. 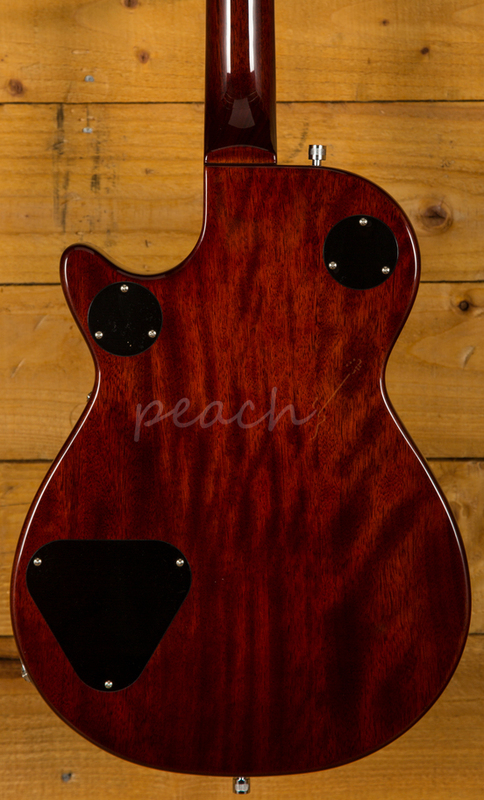 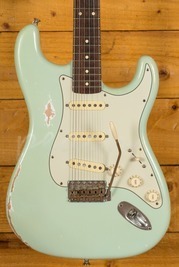 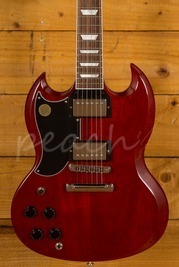 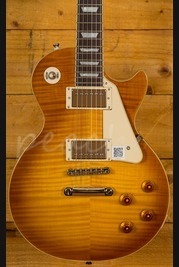 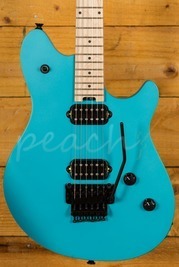 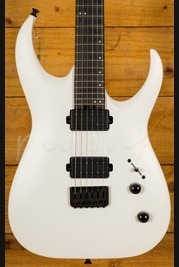 With a lightweight chambered Mahogany body, this guitar really resonates. 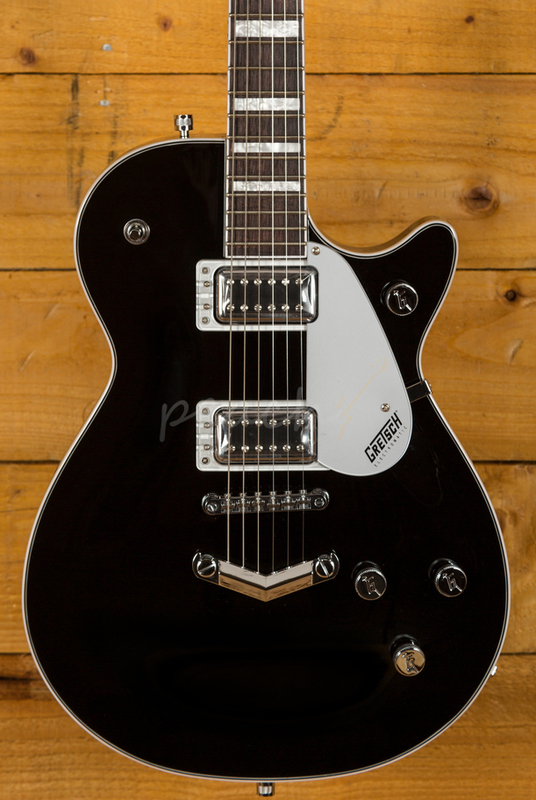 The Jet is one of the classic Gretsch shapes and this model really does deliver that authentic Gretsch vibe. 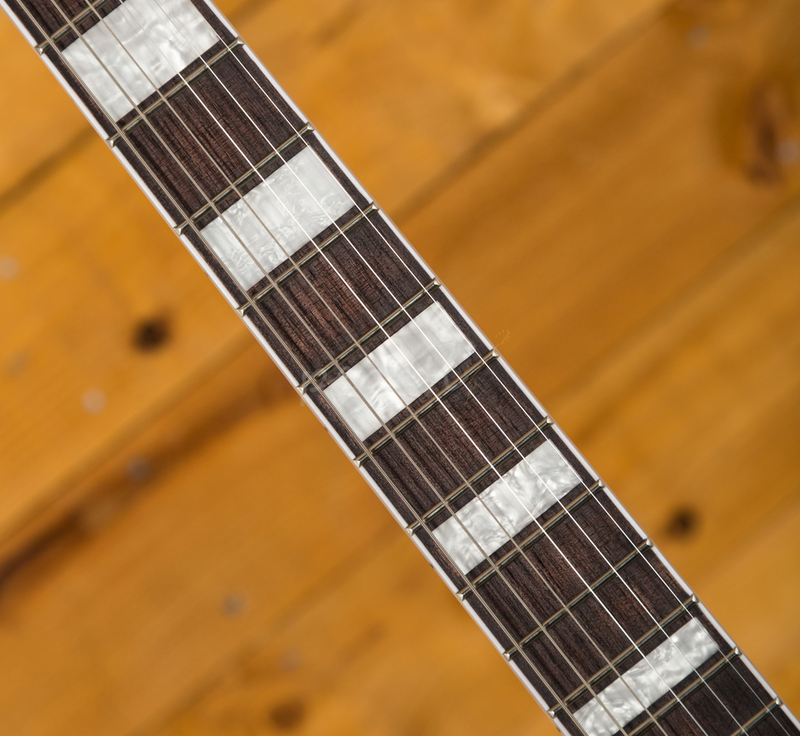 The Mahogany Thin-U neck features a Black Walnut fingerboard with block inlays for the classic country look. 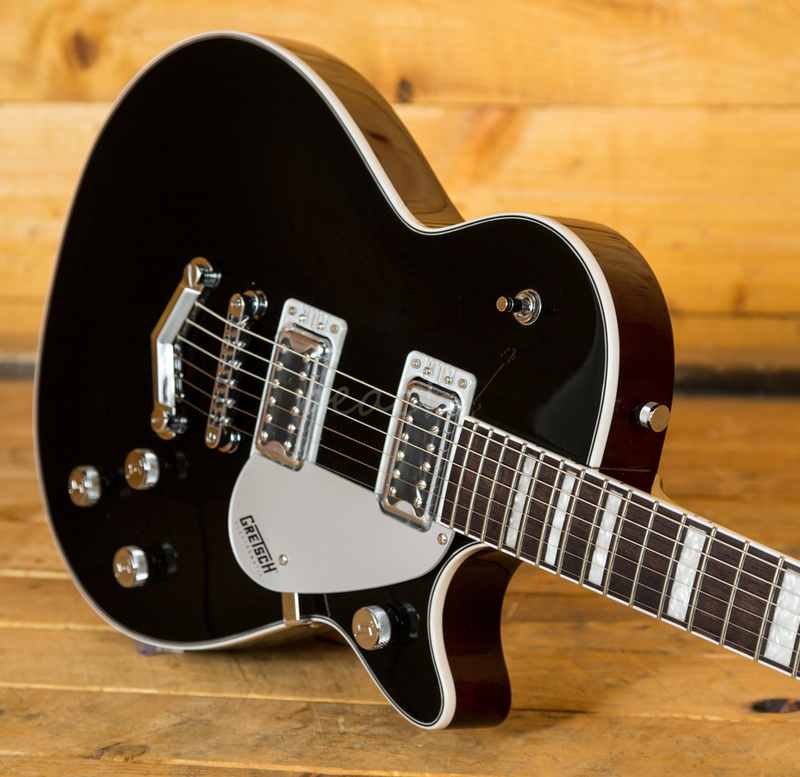 With 22 medium jumbo frets and 24.6" scale length, the Gretsch Electromatic G5220 is perfect for riffing and heavy chord work. 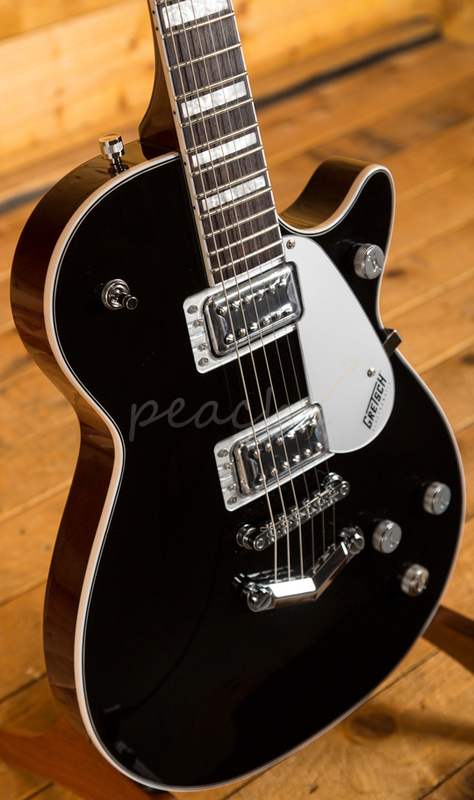 A real highlight of this model is the Gretsch Blacktop Broad'Tron pickups. 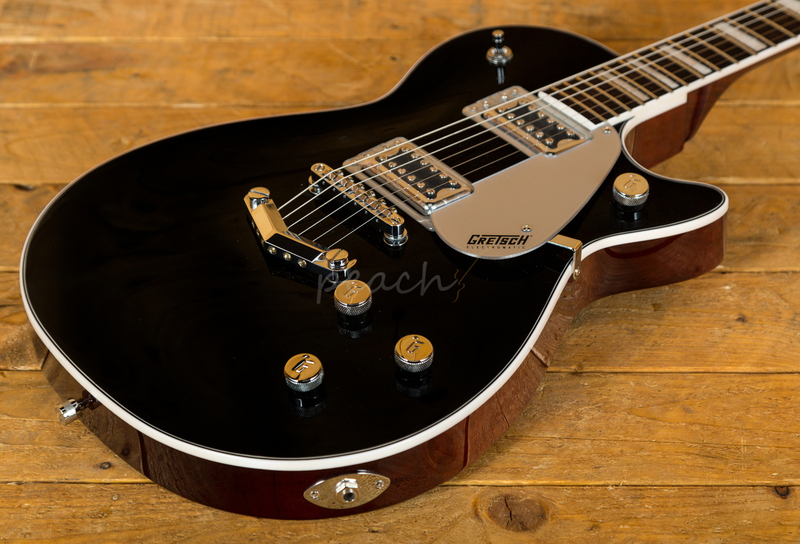 With glassy highs and deep, rich lows you get a unique tone that is comparable to much more expensive guitars, it's certainly a Gretsch tone that's for sure!